New analysis from SimplyBusiness.co.uk indicates a significant change in both the age and gender of private landlords in the UK. It seems as though the face of the archetypal British landlord is changing; and there is a younger breed of landlord entering the private rental market. SimplyBusiness.co.uk have been offering landlord insurance since 2005; and their analysis is based on the 19,851 Landlord Insurance policies sold by SimplyBusiness.co.uk in 2010 versus the 6,234 policies sold in 2006. 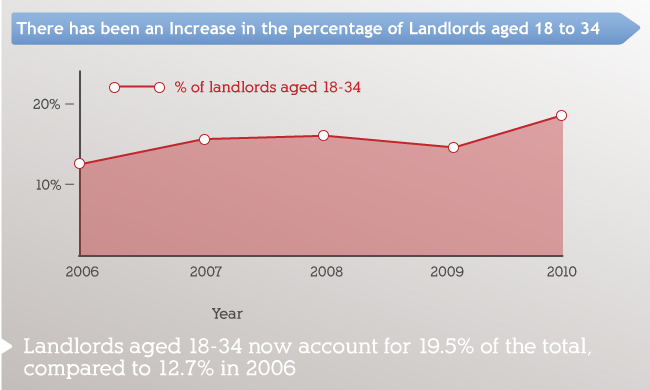 When reviewing comparative data of landlord insurance policies sold by SimplyBusiness.co.uk in 2006 versus 2010, a marked increase in landlords aged 18-34 can be seen. 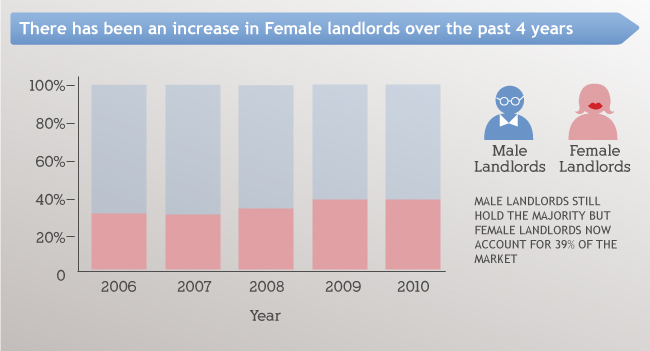 landlords insured via SimplyBusiness.co.uk in 2010 were female, versus 36% in 2006. 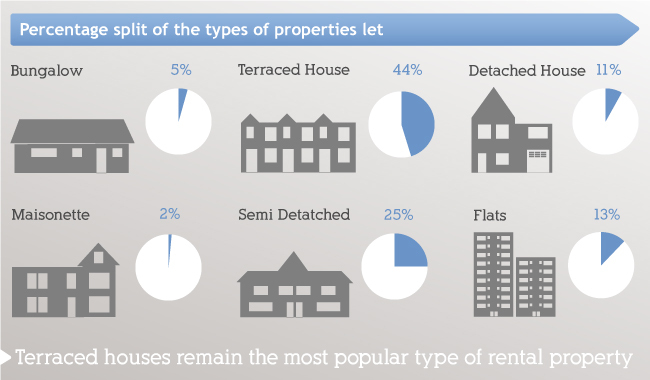 Perhaps surprisingly, the types of property being insured have not changed significantly since 2006, and terraced housing still accounts for the largest proportion of private rented accommodation. So it seems that people still think that there’s money to be made in property. 1. Budget – Figure out what you can afford before you start viewing property. Before you make an offer make sure the figures stack up and that you can make money out of renting out your chosen property. Remember to consider all purchase costs including stamp duty, legal fees etc and any costs for renovation and decoration. 2. Save and/or Have a Contingency Fund -Remember you might need to fund the mortgage payments yourself if your property is unoccupied; and you’ll also need to cover maintenance costs etc. 3. Regulation – Keep up to date with the latest regulations and make sure you understand how future regulation may affect you as a landlord. 4. Finance – Make sure you’ve got the right mortgage for you and you can afford the repayments – you may have cover them yourself if your property is unoccupied for any reason. 5. Tenants – Think about what sort of tenants you’d like to attract and make sure your property, the internal decor etc will work for them. Always be sure to seek references. Does SimplyBusiness also offer UK based landlords similar facilities for their properties abroad?